Pets are beloved members of our families, and Williams Carpet Care values our four-legged customers. However, no one loves the odor and stains pets bring into homes. Whether your pet is a potty-training puppy or an older animal, it is a challenge to keep your home and carpets clean. Our specialized Pet Treatment package at Williams Carpet Care is designed for the pet-lover looking to remove pet odors and urine stains from their home. 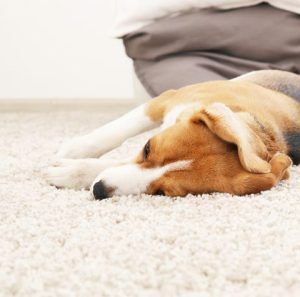 Store-bought products do not sufficiently remove pet odors and stains because they only treat the surface of the carpet. Williams Carpet Care uses a safe enzyme-based product to penetrate pet stains. After a standard steam cleaning, our certified technicians spray the enzyme-based cleaner on identified pet stains. The enzymes enter the carpet fibers saturated with water from the steam cleaning and remove stains left behind from urine and feces by bacterial digestion. Once the chemical reaction is complete, the bacteria die. It is a natural process and can take up to 24 hours to remove pet stains and odors. Old urine and heavy-duty stains may become permanent because of urine’s acidic nature. Further treatment or more serious action may be required to remove them. 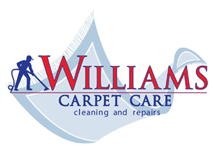 Call Williams Carpet Care to schedule a cleaning and rejuvenate your home before stains become permanent!